Digital badges are a validated, electronic measure of achievement that are starting to be very widely used in the workplace, in education and in certification. This article explains some of the reasons why they are genuinely a win for all involved. A little while ago, achievements were recognized with a paper certificate, which you could frame and put on your office wall. But with digital printing, paper certificates have become easy to forge, and with the Internet, a lot of offices are virtual. So nowadays recognition of achievement is often with a digital certificate or badge. Digital badges use a picture (like the one on the right) to summarize what the badge is and are backed up with detailed information that can be verified online. Many people put badges on their LinkedIn or other social media accounts. 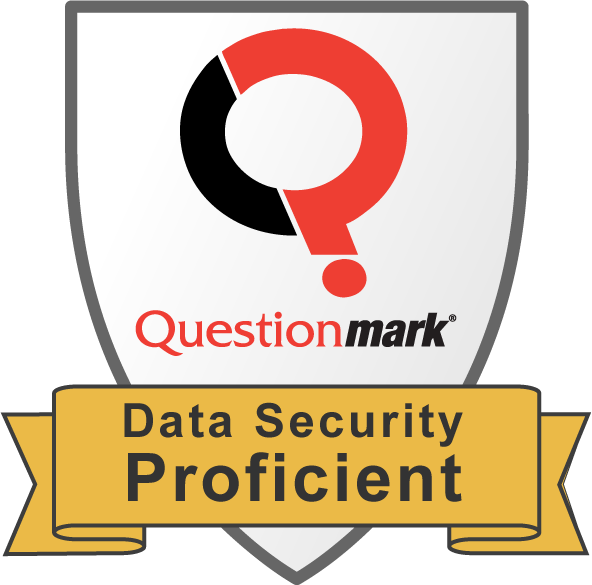 With Questionmark Badging, you can award digital badges when someone passes an assessment. A key human need is to achieve goals and for others to value our achievements, and digital badges provide a mechanism to help satisfy these needs. 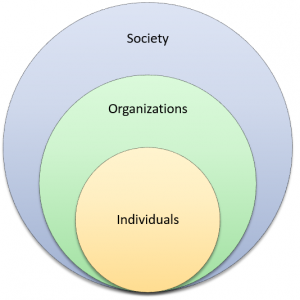 Digital badges can be win-win-win for society, organizations and individuals. As technology changes and the world becomes more global, skill shortages are a significant issue to the global economy. According to the OECD, “in most countries, large shares of employers complain that they cannot find workers with the skills that their businesses require”. Digital badges help reduce skill shortages by encouraging and documenting the acquisition of important skills and by recognizing competencies at a distance. They allow a society to increase citizen contributions and help mobility of skills which drives economic value. The most tangible benefit for digital badges is to the organizations who issue them. Digital badges provide a great opportunity for companies, universities and colleges and certification providers. In the workplace, employers can issue badges to provide recognition of e-learning or instructor led training and to show achievement of important competencies. Badges motivate employees to develop current skills which make a business difference to the employer, and they recognize employees for achievement. For many employees, being recognized for an achievement is as important as a pay rise or other more tangible benefit. Universities and colleges can issue badges to students to show the module make-up in their courses, to encourage or showcase extra achievement or for short courses outside the usual curriculum. Certification providers can give candidates a shareable badge, which encourages them to engage with the provider and promotes the certification brand. Digital badges also allow micro-credentials and delta credentials to deal with fast moving technology. Lastly, for individuals, digital badges help develop skills and careers. Digital badges let individuals showcase their achievements, grow self-esteem with a sense of accomplishment and obtain recognition for what they do as employee and/or as citizen. Digital badges make sense for society, for organizations and for individuals. The improved competence and communication about competence they encourage improves society. Organizations gain skills and a new currency to reward their workforce. And badge earners gain recognition and a sense of achievement. It is important that badge issuers set up a good process to ensure their badges are credible and sustainable measures of achievement, but if this is done, badges are truly win-win-win. If you are interested in learning more about digital badges, you can see information on Questionmark’s solution here.